I was born a Malaysian but my parents decided to bring my brother and I out to Singapore to live together when I was 2 years old (my brother was 1) as they felt there are better education and work opportunities here. So to be honest, growing up, I don’t see myself as a Malaysian – I sing and recite the national anthem and pledge; I was involved in flag raising ceremonies during school days; almost all of my memories are created here in Singapore (the rest are overseas holidays hehe) and all my best friends are from Singapore. Well, dear friends, as you can see, this attempt obviously didn’t go very well – the cake didn’t roll up nicely and the pattern… ugh. Reluctantly, I accepted the fact that swiss roll is something I have yet to master so I decided to bake a layer cake instead. I found a coconut cupcake recipe from Lola, and somehow an idea popped inside my head to replace the vanilla with the pandan extract that I bought from Singapore. Pandan and coconut are common Asian ingredients – there are so many food in Singapore that are made with these 2 ingredients (either together or separately) that I don’t think I can name them all! So why not combining them in a cake? I did, and then the rest is history. No wait, it’s not history – I have to tell you how the cake turns out, right? Well, I was a little worried at first as the cake batter was quite stiff – the plan will be flushed the drain if the cake turns out dry and hard, but surprisingly the cake was so good that I almost wanted to skip the frosting – it has a tender crumb, surprisingly moist, have a fragrant pandan flavour and is chock-full of coconut flavour – and to think only dried dessicated coconut is used! 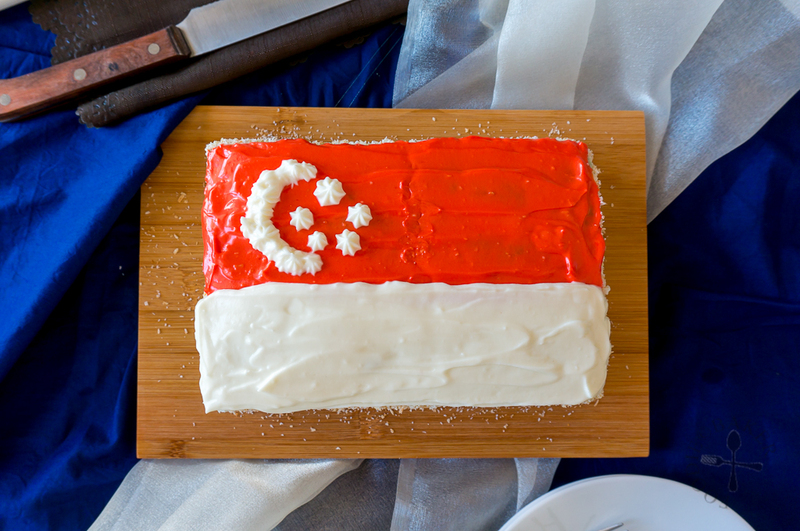 Next is the frosting: I needed a white frosting for the bottom of Singapore’s flag. Most frostings require vanilla to be added as a flavouring but as I only have vanilla paste on hand, it will be unsightly to have specks of vanilla appearing in the frosting (and on the flag!) Hence I opted for a cream cheese frosting as it is one of my favourite frostings and it is flavourful enough without the need of additional flavouring. 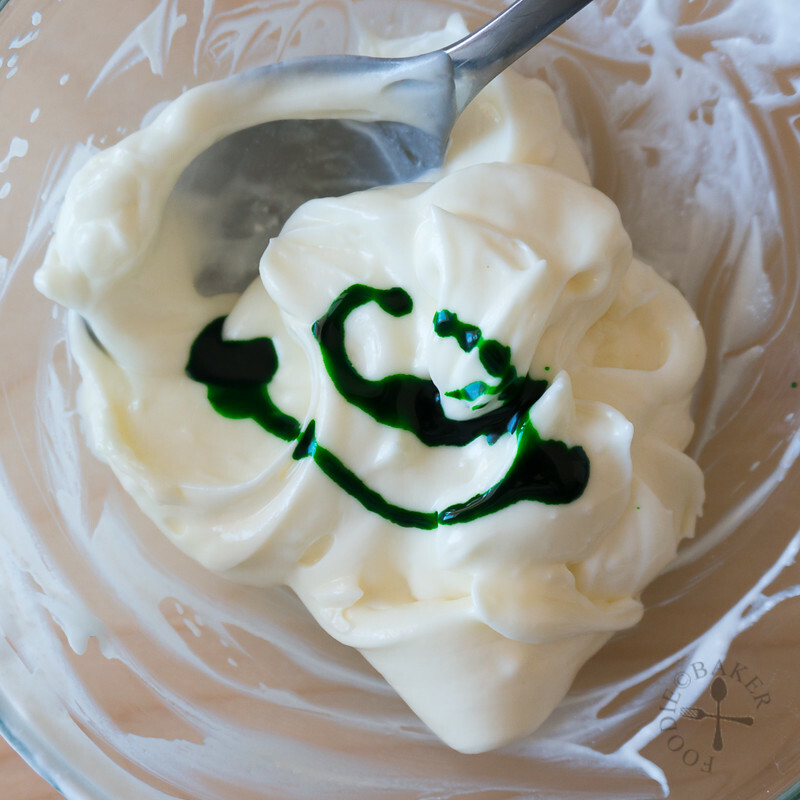 I used a recipe found on HowToCookThat which has the addition of sour cream to cut down the sweetness of cream cheese frosting. I still found the frosting a little too sweet for me but luckily the cake was frosted thinly, hence the overall sweetness is still acceptable. Eating this cake is a delicious joy – the crumb is tender but with every bite you can feel the dessicated coconut giving a unique, slight chewy texture. 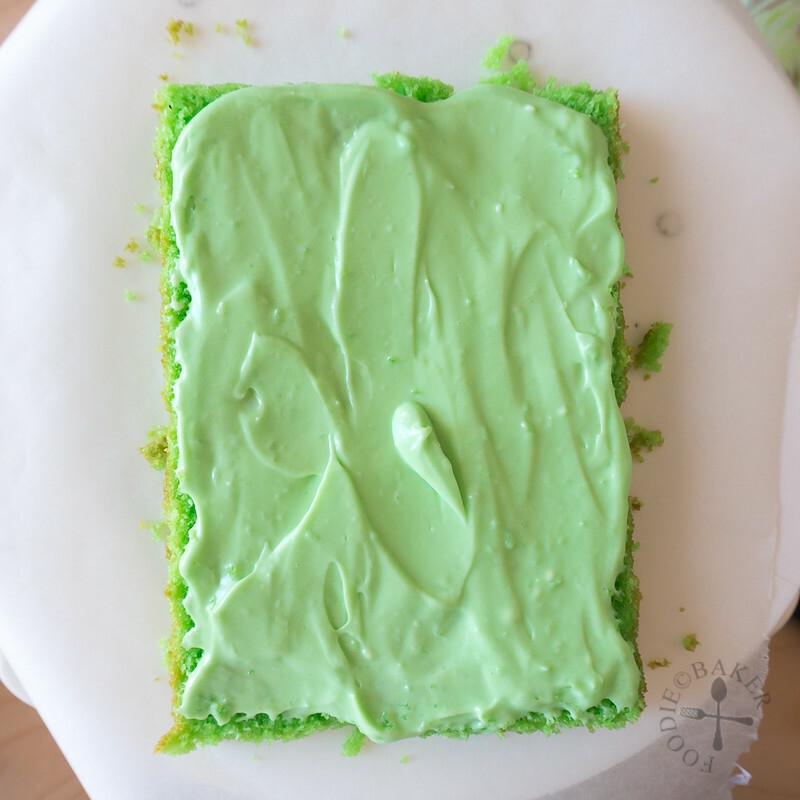 The cream cheese frosting sadly masked the pandan flavour a little, but overall still goes very well with the cake. 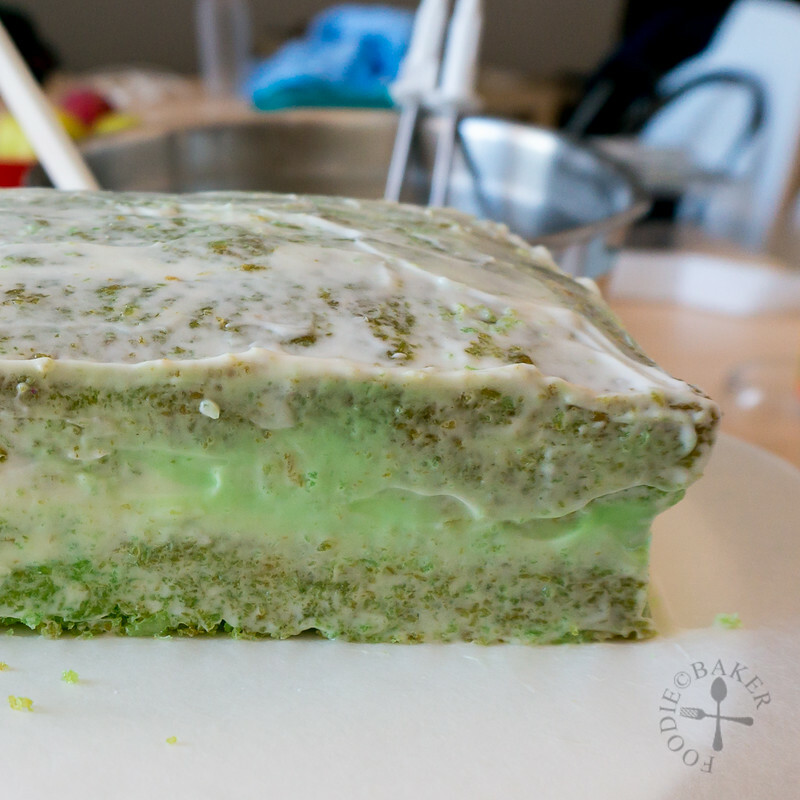 If I’m making a normal layered cake, I will simply frost the entire cake with pandan-flavoured cream cheese frosting – so that I will not lose the pandan flavour. Here’s how to make this cake! 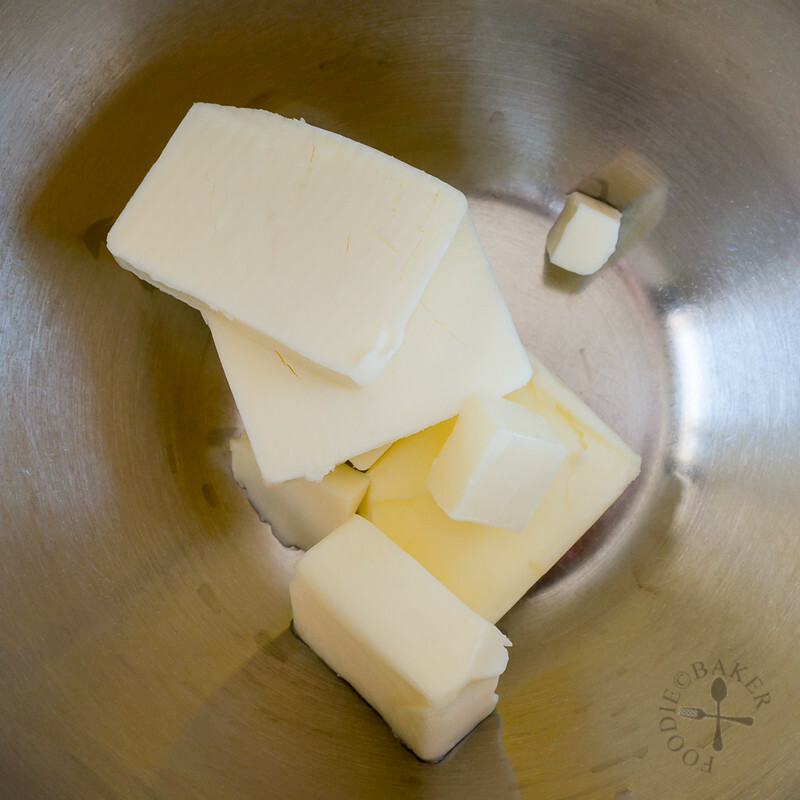 1) Beat butter until creamy. 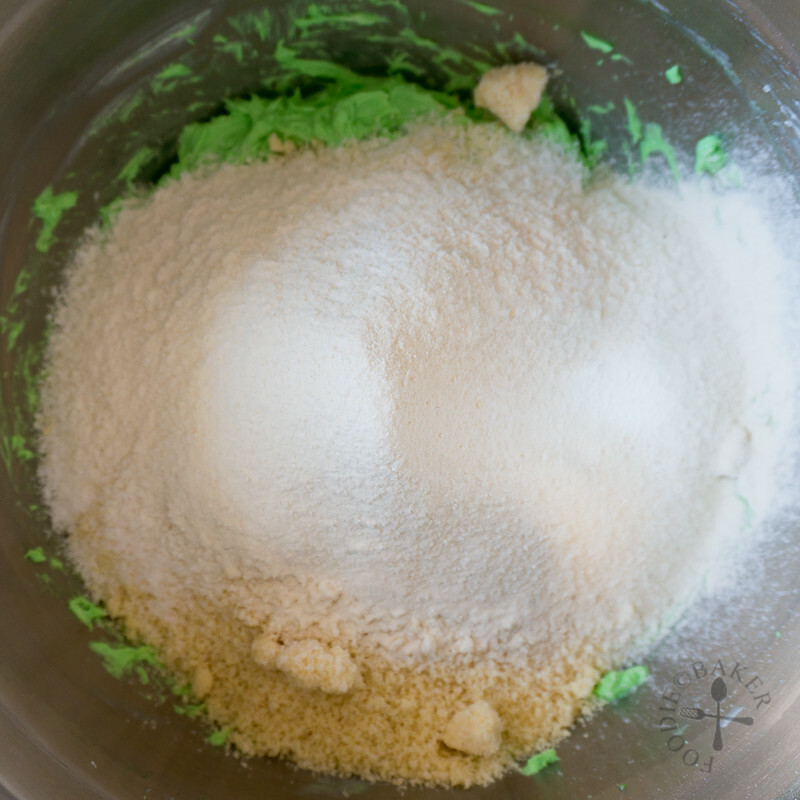 2) Add in sugar and beat until light and fluffy. 3) Beat in one egg. 4) Then beat in the second egg, pandan and water. 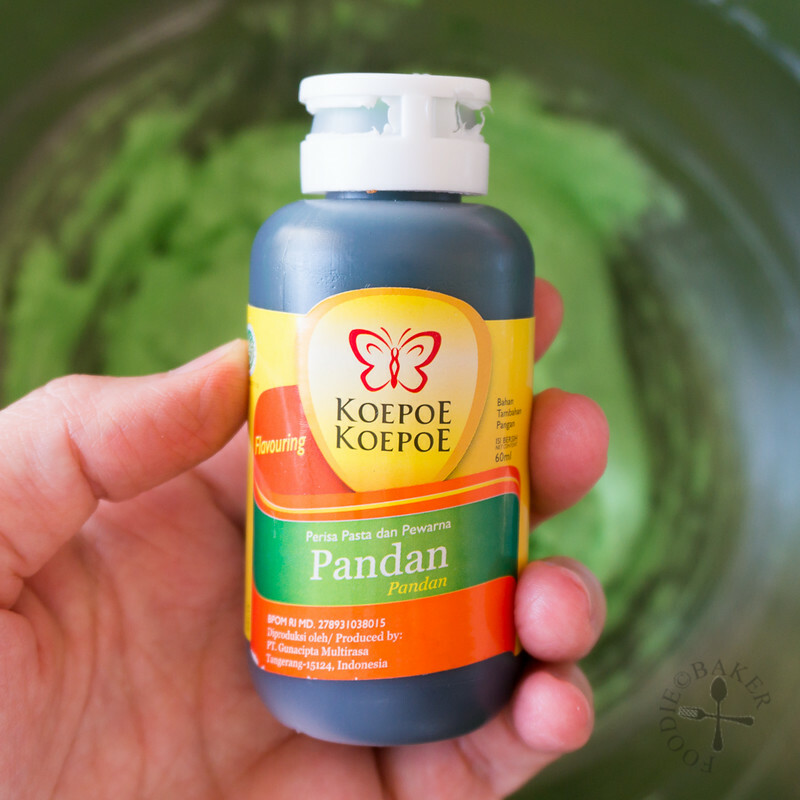 5) This is the brand of pandan I'm using! 6) Add in dessicated coconut and almond. 7) Sift in the flour mixture. 8) Mix in until just combined. 9) Transfer to a cake tin and bake. 10) Let the cake cool then split in half horizontally. 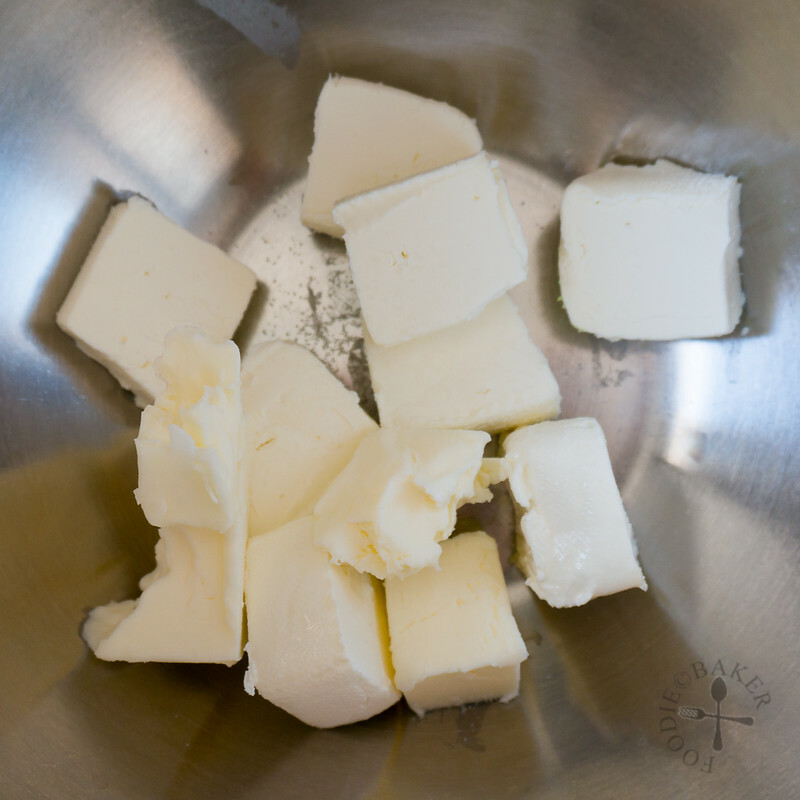 1) Beat cream cheese, butter and salt together until creamy. 2) Beat in sifted icing sugar. 3) Beat in sour cream. 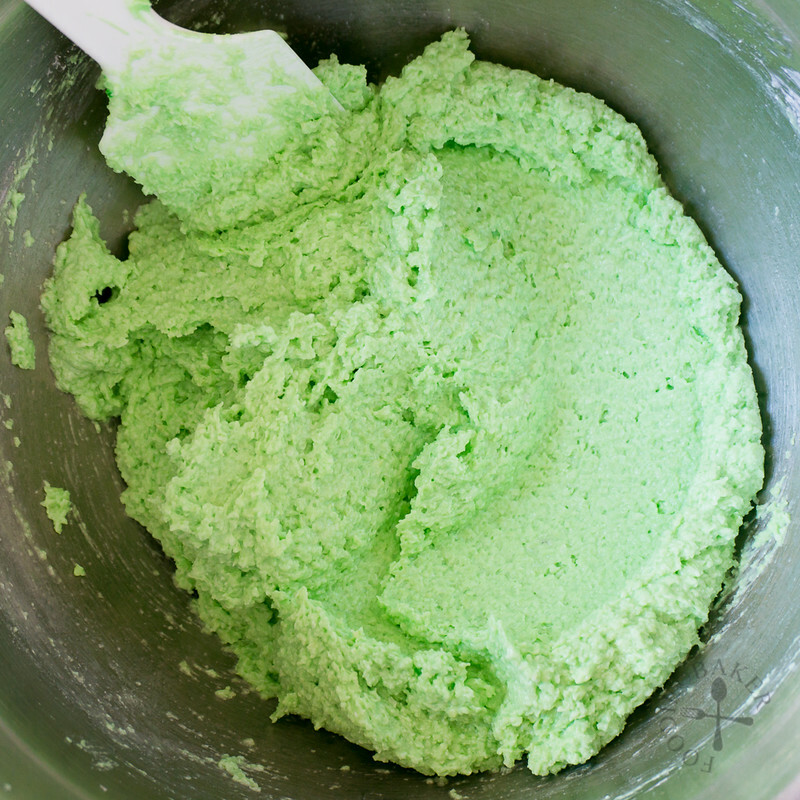 4) Take 1/3 of the cream cheese frosting and flavour with pandan. 5) This will be the filling for the cake! 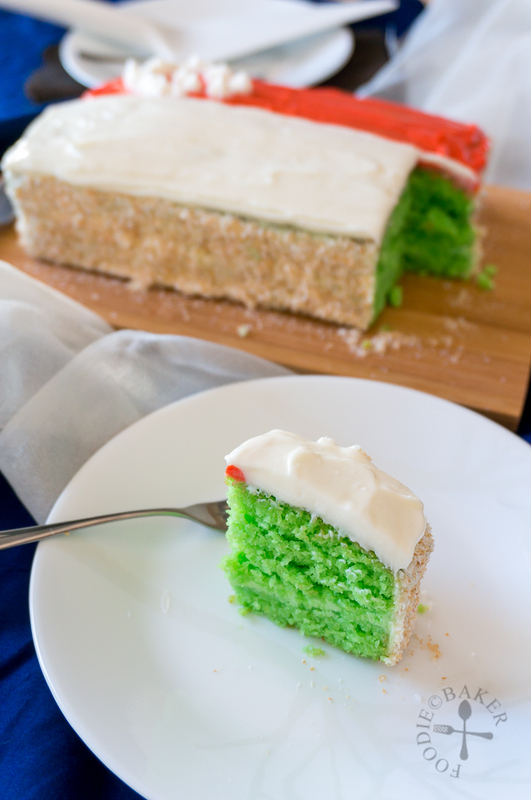 1) Brush the cake layers lightly with syrup and fill with the pandan cream cheese frosting. 2) Top with the cake layer. 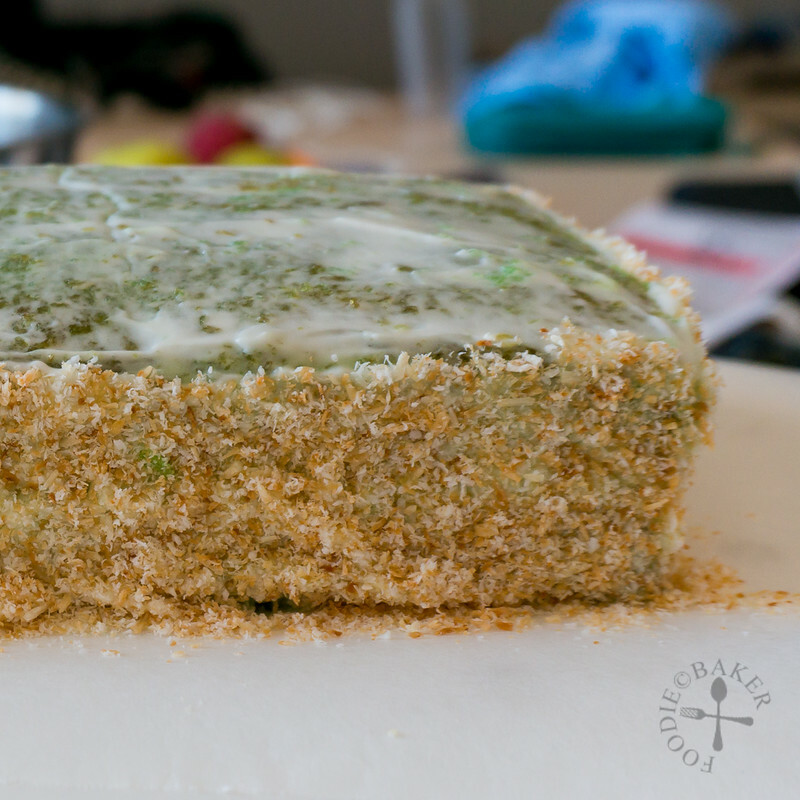 3) Coat the cake with a thin layer of cream cheese frosting (crumb coat). 4) This is the side of the crumb coat. Refrigerate for 15 minutes until slightly firm. 5) Coat another layer of cream cheese frosting on the sides and press toasted dessicated coconut on the sides. Refrigerate for 15 minutes until firm. 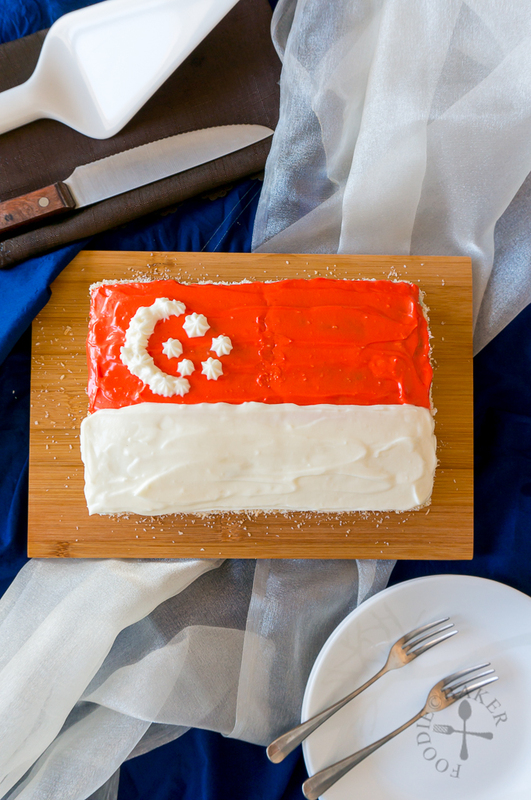 Here’s wishing Singapore a very happy 50th brithday! Preheat oven to 170C / 340F. Grease a 8x5-inch baking tin and line the bottom with baking paper. Set aside. 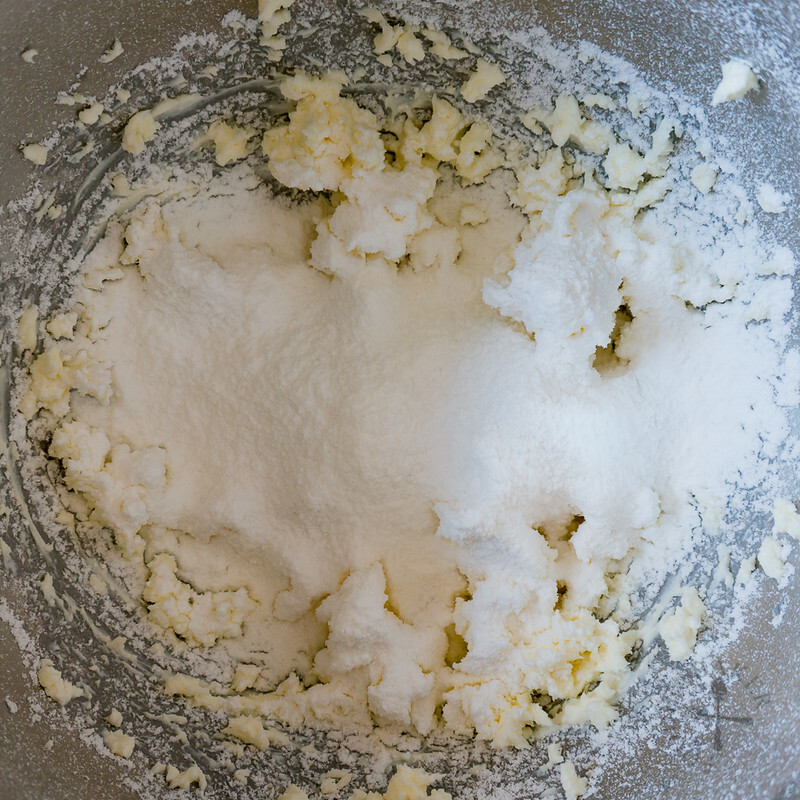 In a large mixing bowl, beat butter with an electric mixer on medium speed until creamy, then add sugar and continue beating until pale, light and fluffy, scrapping down the sides occasionally, about 5 to 7 minutes. Add in 1 egg and beat on medium speed for 1 minute until incorporated. Scrape down the sides. 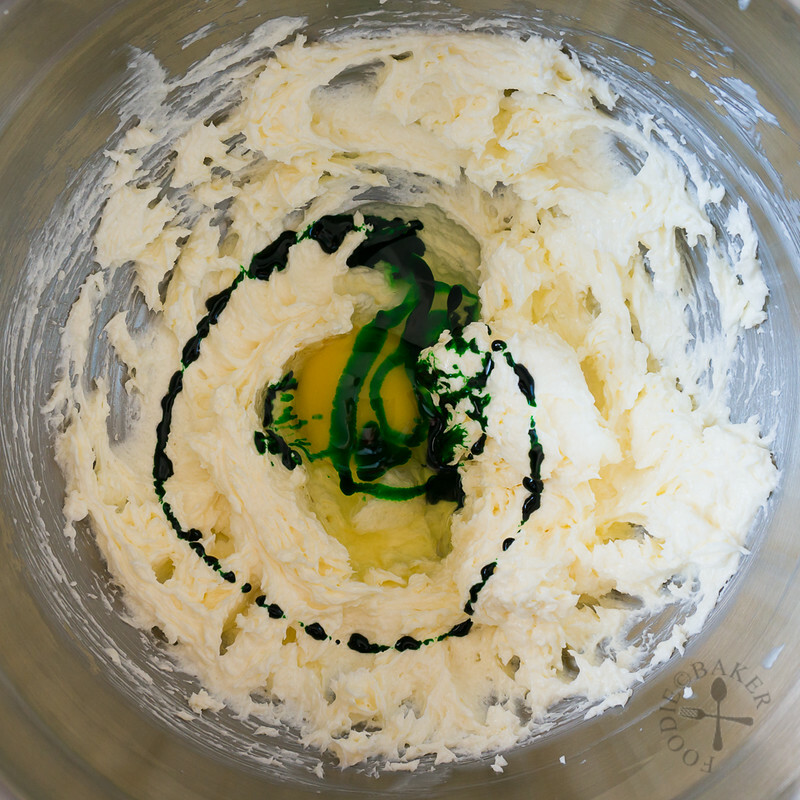 Add in the second egg, pandan extract and water and beat on medium speed for 1 minute until incorporated. Scrape down the sides. Add in dessicated coconut, ground almond. Sift in flour, baking powder and salt. Beat on low speed until just incorporated. 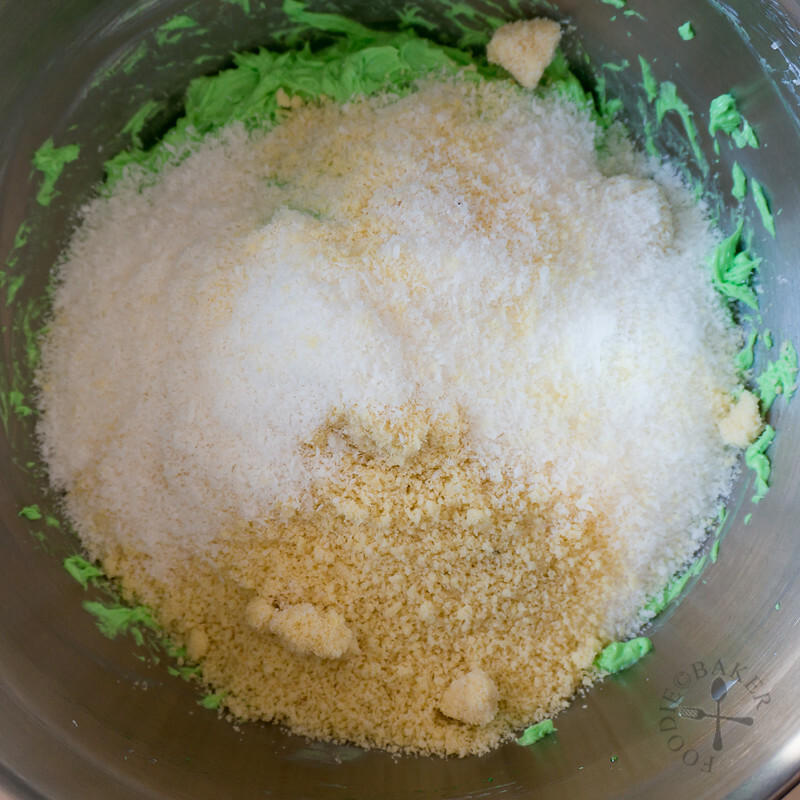 Use a spatula and scrape the bottom to ensure everything is mixed together. 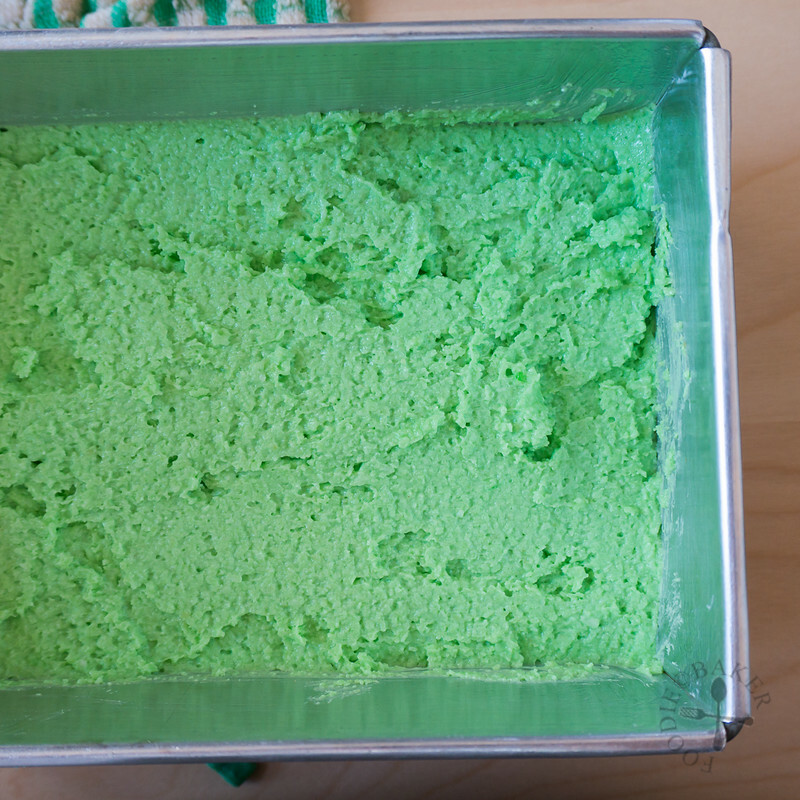 Transfer the batter into a cake tin and use a spatula to smooth the top. Bake for 35 to 45 minutes until a skewer inserted into the center comes out clean. Let cool completely in the tin. 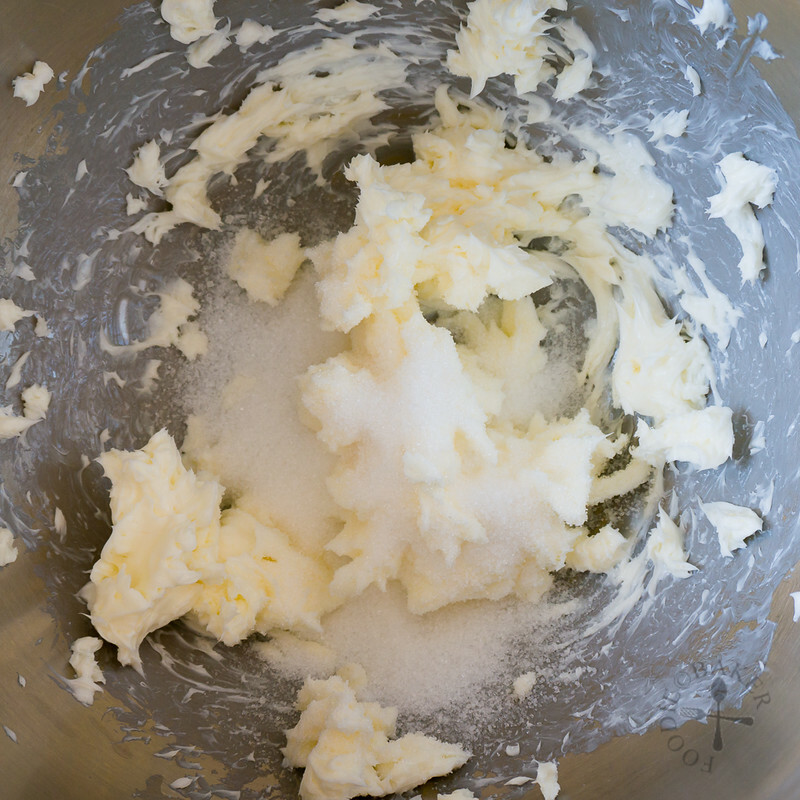 Combine sugar and water in a small pot. Bring to a boil and simmer until the sugar syrup thickens slightly. Remove from heat and let cool completely before using. 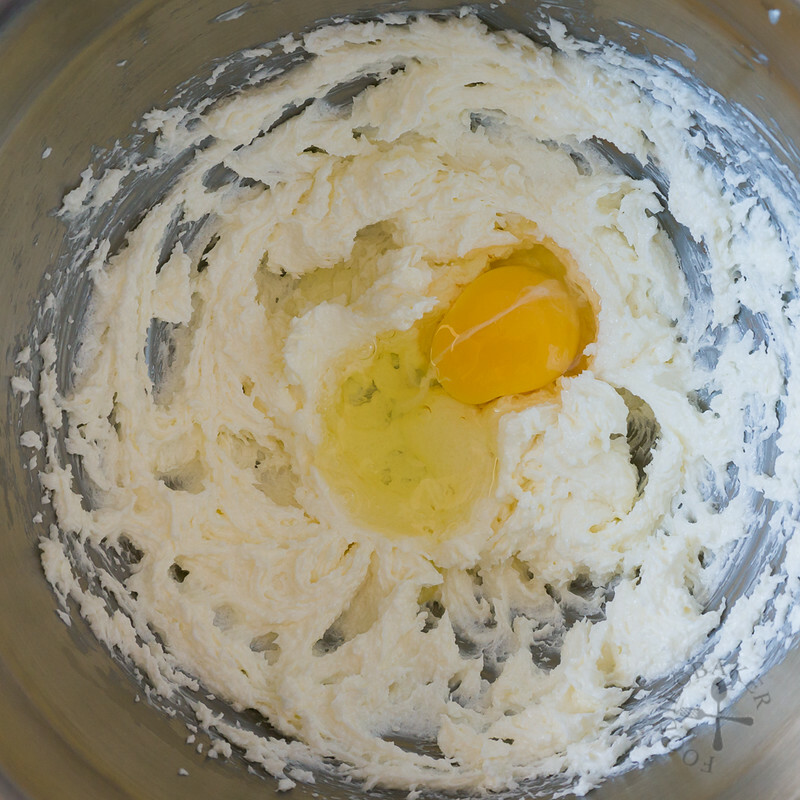 In a mixing bowl, beat cream cheese, butter and salt with an electric mixer on medium speed until creamy, then sift in icing sugar. Beat until icing sugar is incorporated then beat in the sour cream. Beat on medium-high speed until frosting is light and creamy. Place the coconut in a small frying pan and dry-fry over medium heat, tossing the coconut frequently until the coconut is lightly golden. Remove from heat and let cool completely before using. Split the cake into half horizontally. Lay the bottom piece on a cake board and brush with sugar syrup. 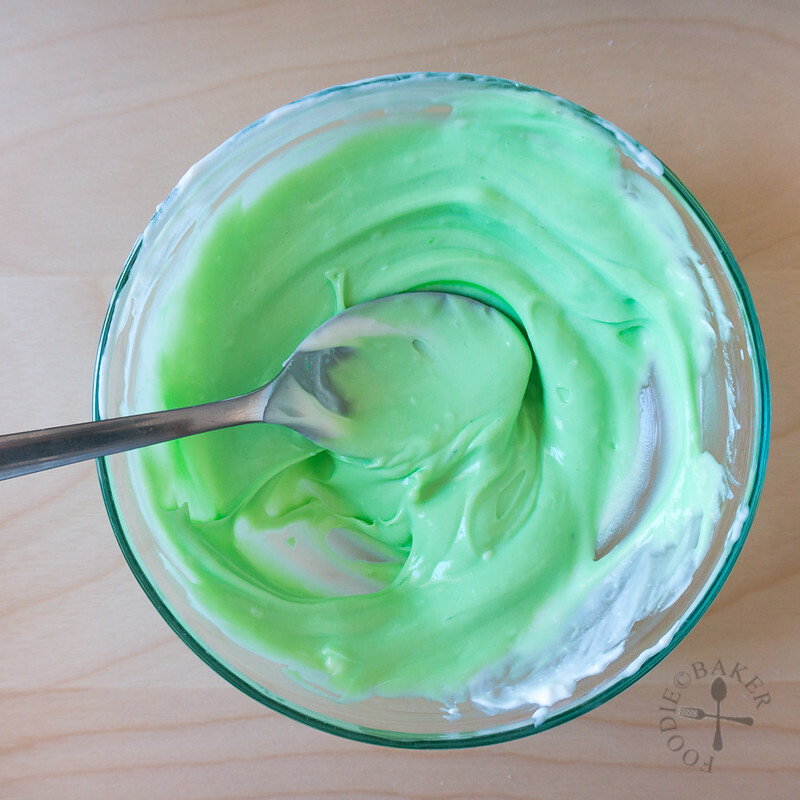 Take ⅓ of the cream cheese frosting and mix with the pandan extract. 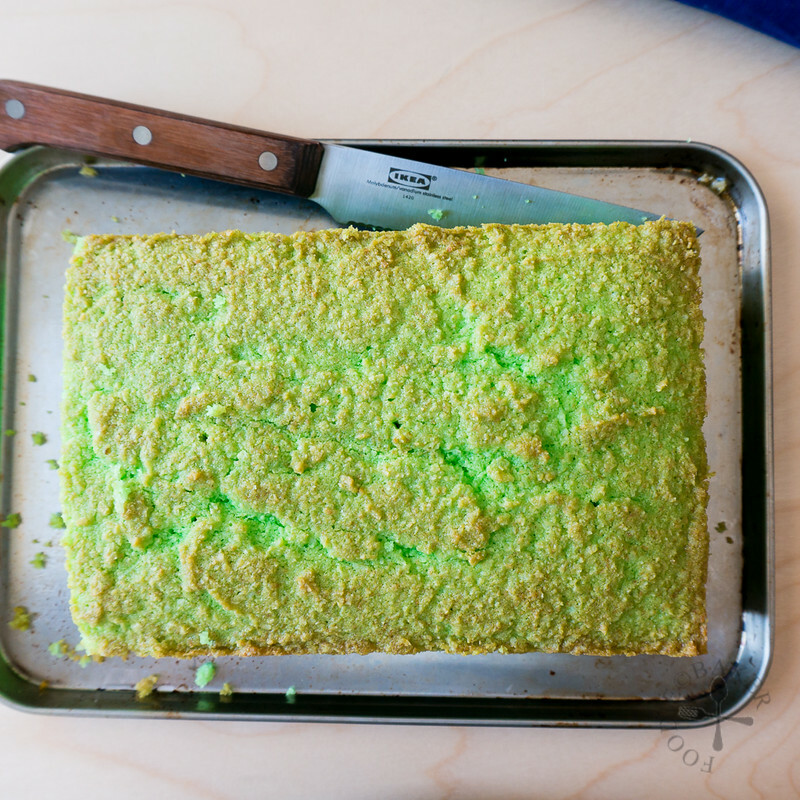 Fill the cake with the pandan frosting. 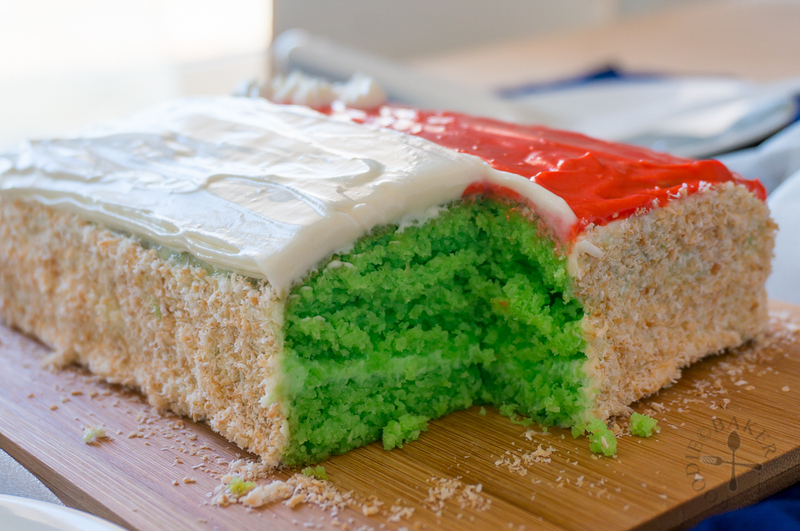 Take the top piece of the cake, brush both sides with sugar syrup and place it on top of the pandan frosting. 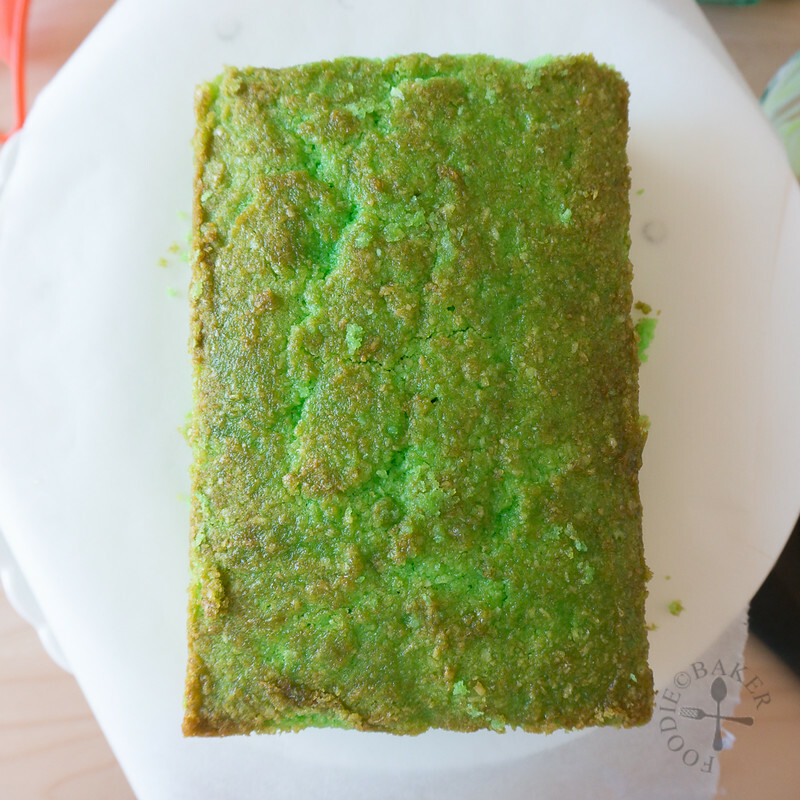 Coat the exterior sparingly with the cream cheese frosting (crumb coat), making sure that the pandan frosting do not get into the remaining batch of cream cheese frosting. Refrigerate for 15 minutes until frosting is slightly firm. Coat the sides of the cake with a thin layer of cream cheese frosting, then press the toasted dessicated coconut gently onto the cream cheese frosting. Refrigerate for 15 minutes. Split the remaining frosting into 2. Colour one with red food colouring. Place the red cream cheese frosting into a piping bag fitted with a plain tip and the white cream cheese frosting into a piping bag fitted with a star tip. Pipe red cream cheese frosting on the top half of the cake. Use a spatula and smooth out the frosting. Refrigerate for 15 minutes. 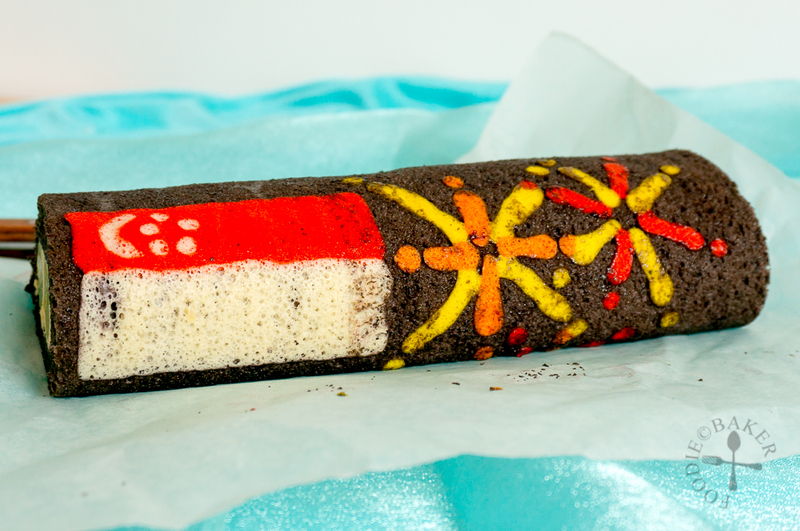 Pipe the moon and stars with the white cream cheese frosting onto the red cream cheese frosting. Pipe the remaining white cream cheese frosting on the bottom half of the cake. Smooth it out with a spatula. 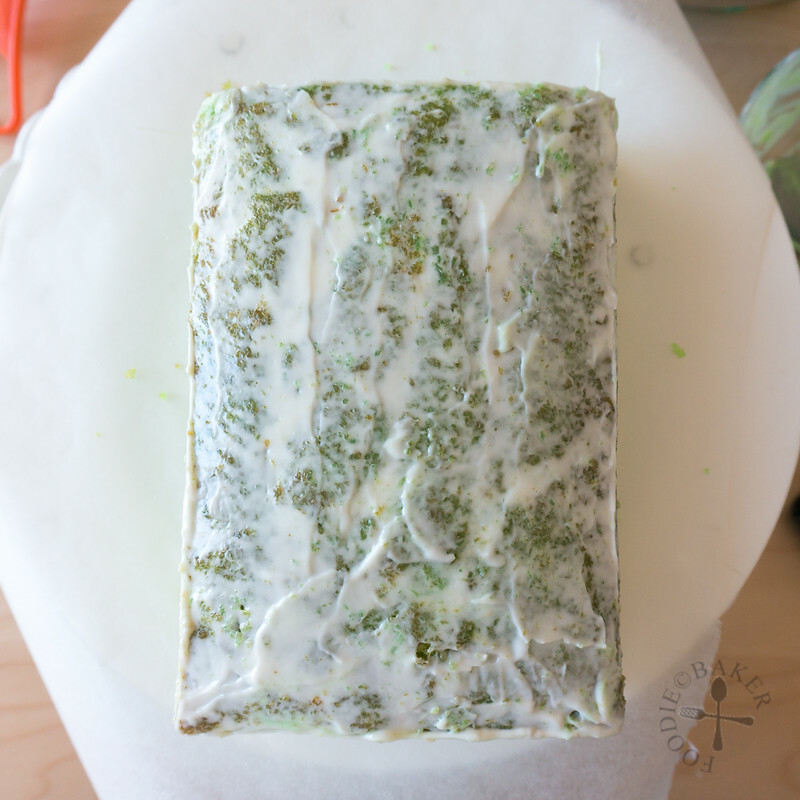 Refrigerate for at least 15 minutes before serving. Dip a knife in hot water and slice the cake. Wipe the knife blade and repeat the process for a clean cut. If the cake is cold, let it come to room temperature slightly before serving. - The cream cheese frosting makes just enough to fill, frost thinly and decorate the cake. 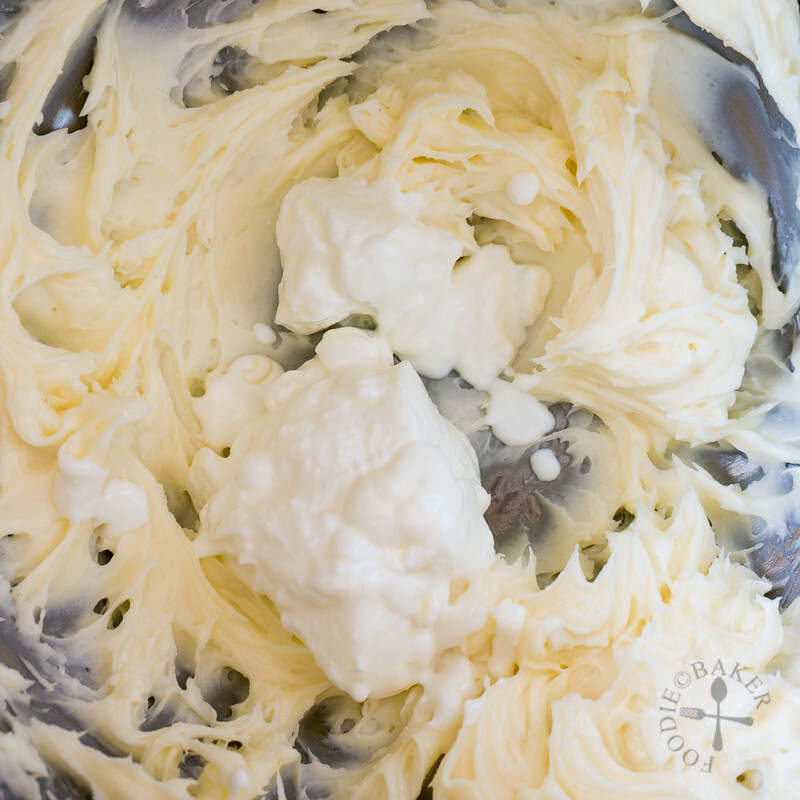 If you prefer a thicker layer of cream cheese frosting, increase the ingredients' quantities by 25% to 50%. What a moist and lovely cake, Jasline! I wish I knew what Pandan tastes like but I do LOVE coconut. 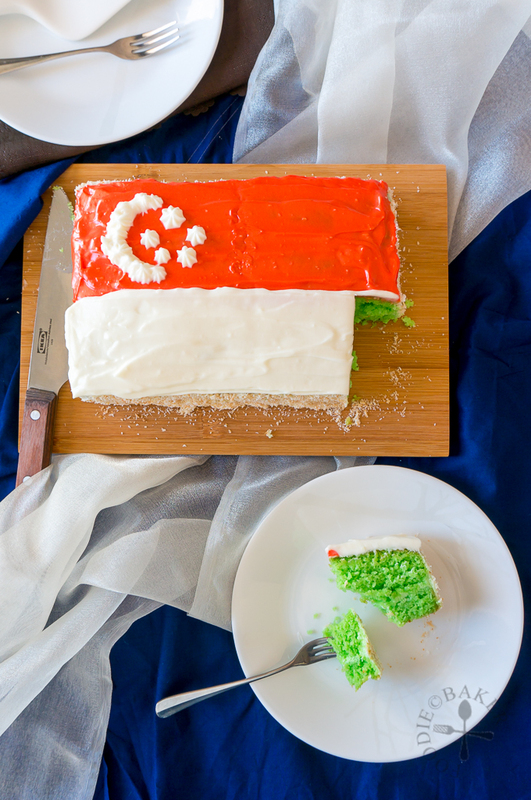 Happy 50th Birthday to Singapore! I love both cakes! The pandan coconut one sounds delicious! Happy 50th Anniversary Jasline! !Beautiful panda cake to celebrate. So moist! I have never seen the pandan drops before that is great so I don’t have to worry about having fresh pandan leaven when not in Asia. Pinning and sharing my dear friend!!! Both cakes look very beautiful, Jasline. You are so creative in baking!